When an individual sustains a devastating injury from a violent blow or jolt to the head or body, or when an object penetrates brain tissues, this can result in a traumatic brain injury (TBI). Interestingly, symptoms from a traumatic brain injury can manifest immediately, or they may appear days or even weeks following the event, as explained by the Mayo Clinic. 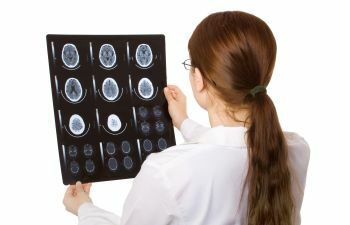 Even so, when a person experiences a TBI due to an accident or another’s reckless behavior, and they are seeking compensation, it is essential to contact an experienced traumatic brain injury lawyer. This is because each jurisdiction has its own laws pertaining to traumatic brain injuries. Without question, there are significant costs related to a traumatic brain injury, as individuals usually require extensive medical care. An individual may see multiple doctors and therapists, and might require surgery. The likelihood of ongoing medical care is high, as this includes occupational and physical therapy, along with other rehabilitative services. In turn, if the injured person was the primary caregiver or wage earner in a home, and he or she is unable to work, they need support in regards to wages and benefits. In the aftermath of a traumatic brain injury, another consideration is pain and suffering, as physical limitations, impairments and emotional stress prove overwhelming for individuals, family members and friends. As a Tramatic Brain Injury Lawyer in Charleston, South Carolina, Attorney Taylor Anderson realizes that when navigating the complexities of a TBI case, proving fault is just one component of a case. That’s why Taylor has committed to examining every aspect of a case, meeting with healthcare professionals and other experts to gain a clear understanding of the extent of one’s injuries. By doing so, he is able to better assess his client’s need for ongoing care and the projected costs involved. Upon taking a case, Attorney Taylor Anderson doesn’t back down from a challenge. Rather, he remains focused and driven, helping his clients obtain justice and the compensation that they need and deserve. For a free review of your TBI claim in Charleston, West Ashley or James Island, contact the Taylor Anderson Law Firm today.